So, I finished my swap piece, now I just have to frame it and mail it off. My partner should have it next week and then I'll be able to show it off. In the meantime, I've started something new to tide me over for the next week or so. Here's a hint, it's a Radiohead bear. I'm stitching it for the new site. 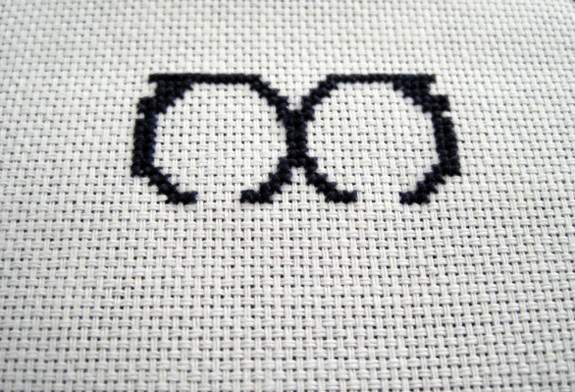 Normally I don't like to stitch things more than once, but I really like this pattern. I've been considering making a King of Limbs one, maybe this will inspire me to actually do it. After working with 28 count for a month, 22 count seems ridiculously big.